People always say it’s the little things in life that count, all the little things that make your life your own. You’ll use most of them everyday without even thinking about. Well I thought I’d do a post to share a few of the little things in my life that I’m loving at the moment. 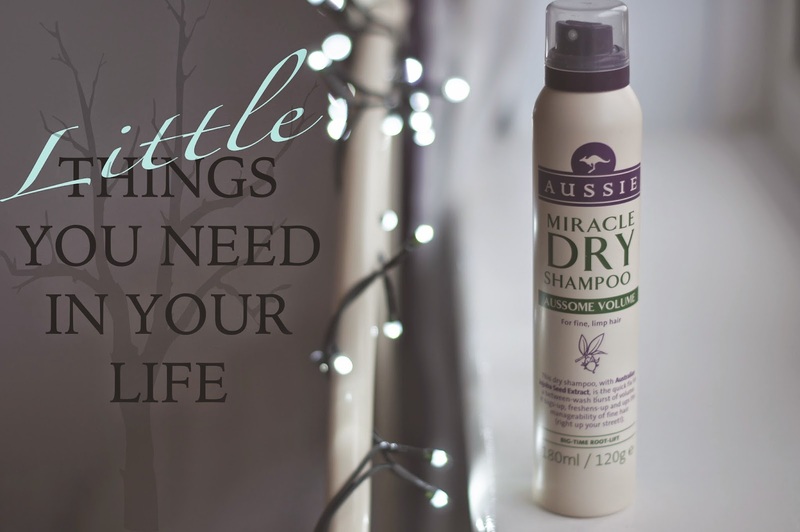 The first is a new favourite of mine, Aussie dry shampoo. I’ve been an vid fan of Batiste since I discovered it back in my early teens. I will never understand how any girl can get by without dry shampoo, actually washing and drying my hair is wayyyyyy too much effort to do on a daily basis. The smell of this Aussie one really is so refreshing compared to the lingering smell of Batiste, which I guess I’ve just gotten used to now, and I’ve got to admit, takes me back to those awful ‘messy hair is pretty hair’ birds nest days. Did anyone else go through that phase or was it just me? *shudders*. It’s time for a change, sorry Batiste. The next little thing has become a big part of my life over recent months. 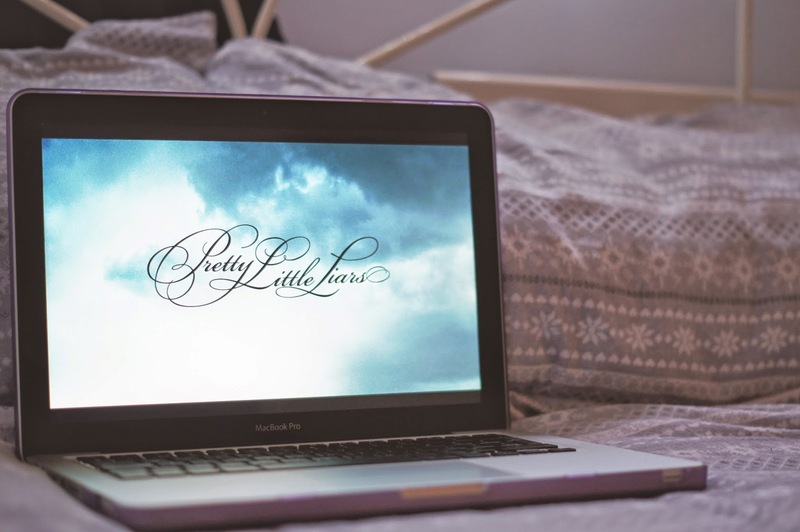 Pretty Little Liars. Netflix has lured me into its spiralling realms of addiction for the first time since Breaking Bad. And I’m not going to lie, I’m loving it. However I’m having to dodge bullets on social media to not find out who A is, as I’m only on season 3. So pleaseeeeee don’t tell me. Or I will have to kill you. for her youtube video during London Fashion Week where she exposed the best beauty hack since sliced bread (woops- I couldn’t think of a beauty hack to top this). Basically I’ve been using baby lips as a highlighter on the tops of my cheek bones and over my brow bone, to give that amazing natural glow that I’ve never really been able to achieve with powder highlights. Obviously you can use any clear lip balm that tickles your fancy, but I’d definitely recommend baby lips, and definitely try this out if you haven’t already. Genius! Smelly time! 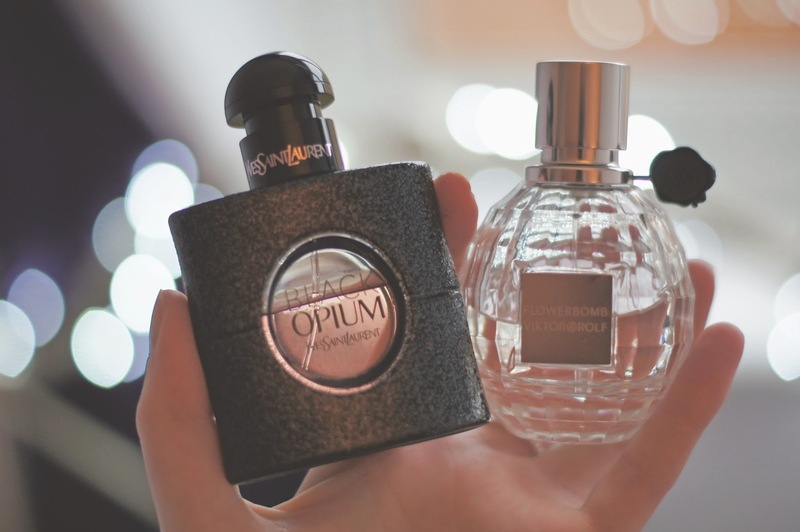 These have been my favourite scents since Christmas when I was lucky enough to receive them both. Black opium is just beyond anything I’ve even smelt before in my life. I mean seriously, If you haven’t tried this already, you need to. I try and save this for evenings and special days out as I don’t ever ever ever want to run out! Flower bomb on the other hand is a much lighter, fresher daytime scent which I wear on a daily basis pretty much, gorge! This one has become a bit of a cult-classic already in the world of fashion bogging/ all girls- everywhere. And rightly so! 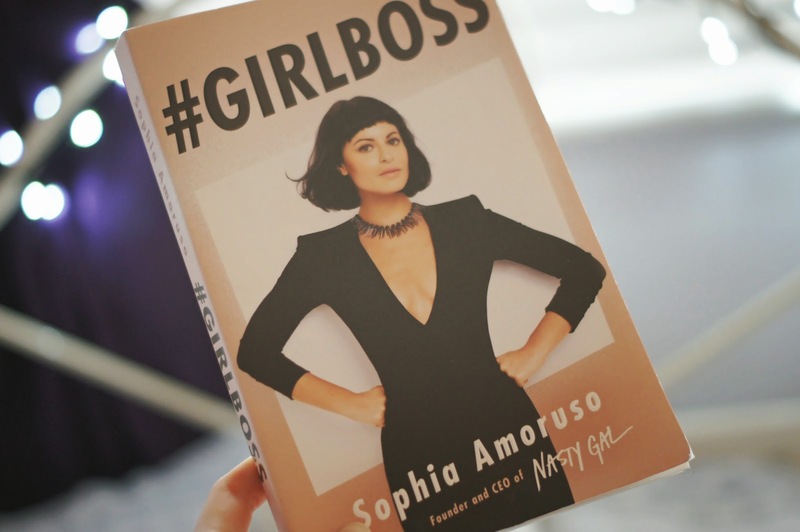 I think this book is the story of every fashion bloggers dream pretty much. I know it is mine anyway. It’s such a relatable read, and Sophia gives so much wise advise for her age, it really is inspiring. If you’re a fashion lover/ feminist, and you haven’t already got this book, what are you waiting for?! Go and get it now you crazy fool! You’re losing out on a tonne of life inspo! You can never have enough inspo. This last one’s a little bit random I suppose, as I am in no way any kind of make-up artist or professional hahahahaha. But I’m all for learning new beauty hacks, as you’ve already read above with the highlighting lib balm magique. This is one I picked up from one of the wonderful Wayne Goss’s youtube videos (Who is genuinely a make-up artist and professional- so go follow him if you want more where this came from!). He posts great snappy little videos on all the tips and tricks that us girls (and guys!) should know. 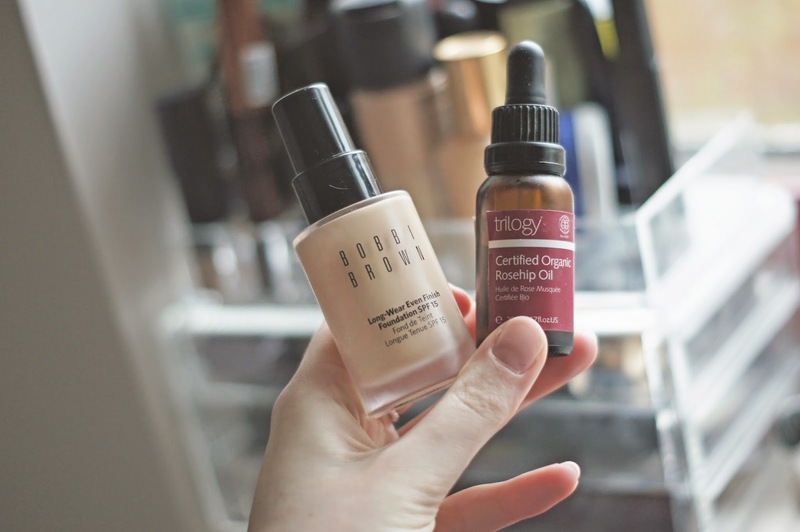 Basically he taught me to add one in drop of oil- I go with rosehip oil as I already use this as a moisturiser at night, it’s AMAZING for your skin- into your foundation and mix it together, then apply to the face as normal. If you’re anything like me, you’ll have suffered from countless cakey- mishaps with various foundations over the years when you’re wearing foundation all day. This tip is the way forward from that, it makes your foundation look like actual skin as opposed to looking like make-up. If that wasn’t enough, it also makes it much easier to actually apply your foundation, and makes your skin feel much more natural all day. I really hope you’ve enjoyed this post, I just felt like doing something a little bit different for a change, and I think there’ll be much more where this came from. Let me know if you share any of the above obsessions with me, and make sure you let me know what the little things are that you need in your lives at the moment! Au Revoir!